Pra Sīvali (Thai: พระสีวลี - Chinese: 尸婆羅) is an Arahant widely venerated among Theravada Buddhists. 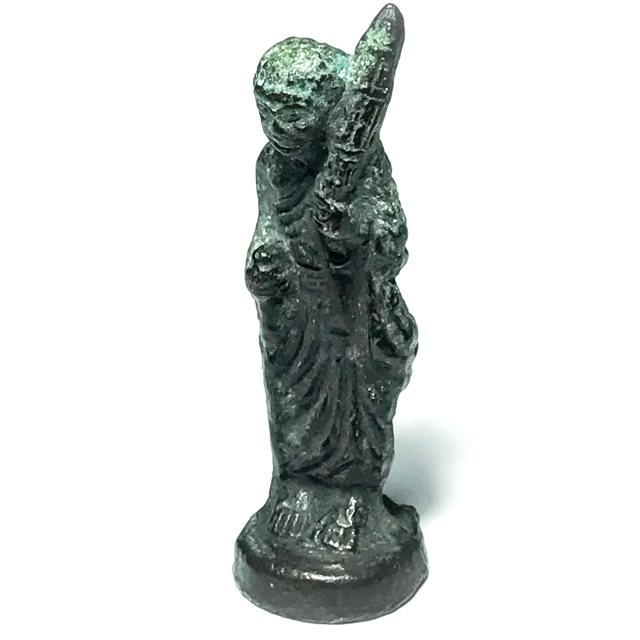 He is the guardian saint of travel and is believed to ward off misfortunes at home such as fire or theft. 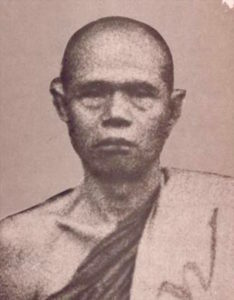 His veneration predates the introduction of Theravada Buddhism into Burma. Sīvali is typically depicted standing upright and carrying a walking staff, an alms bowl and Buddhist prayer beads. Born to Queen Suppavasa, Sīvali is believed to have remained in his mother's womb for seven years because of past karma. After a week in labor, Sīvali's mother gave birth to a precocious boy who could immediately speak. Thereafter, Gautama Buddha's chief disciple, Sariputra, admitted Sīvali into the Sangha. Burmese Buddhists believe that he is still living, that he can be invoked to come by a special incantation and that his mere invisible presence will bring them prosperity and good fortune. Luang Por Chaeng, Silapanya was born on a Friday on the 18th December 2428 BE. He was ordained in 2440 at the age of 12 as a Samanera Novice Monk, and remained ordained until the age of 20, when he was then ordained up one level to the status of a fully fledged adult Bhikkhu Monk.